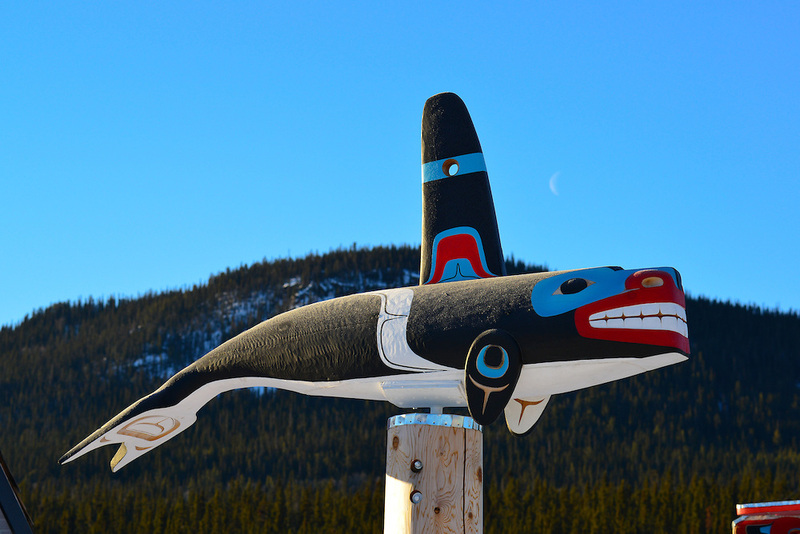 Killer whales have been a symbol of the West Coast for many thousands of years. They have long been integral components in Indigenous culture, belief systems, symbolism, art, and storytelling. The orca is a symbol often centered around luck, compassion and family. 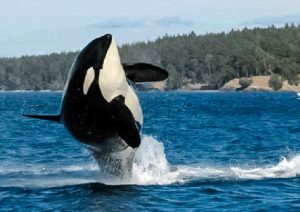 Orcas are known to some Indigenous communities as the guardians of the sea, protecting the people against sea monsters. Because of their strong group behaviour, orcas represent the strength of love and the bonds of family. Indigenous peoples and killer whales have lived in harmony in the Pacific Northwest for many thousands of years. 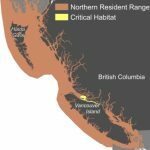 It is important to look to First Nations communities for knowledge and understanding of the history, location, and behaviours of BC’s local orca populations, as well as to their leadership, when developing protection and recovery actions. 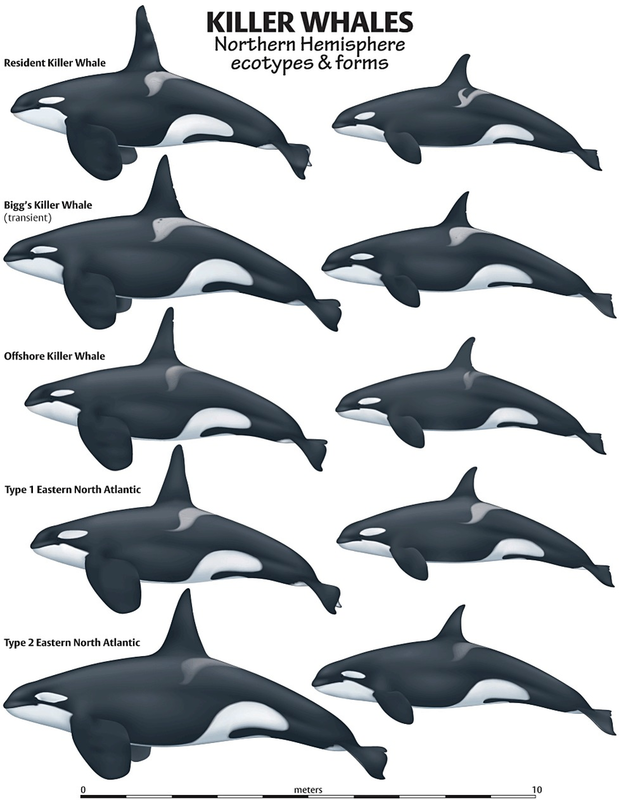 While many types of whales are difficult to distinguish while in the water, killer whales are easily identifiable—you need only look for their distinctive black-and-white pattern working its way through the waves. If you’re lucky enough to spot one today, it might continue to be swimming our shores 30 or 40 years from now. Male killer whales live for up to 60-years, while females can live for more than 100 years in the wild. 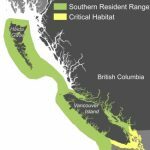 The former matriarch of J-pod in the Southern Resident population, known as Granny or J-2, was believed to be 105-years-old when she passed away in 2016. 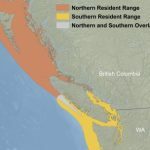 There are three different eco-types of killer whales living in the Pacific Northwest of Canada. Each type is genetically and culturally distinct and they do not interbreed. 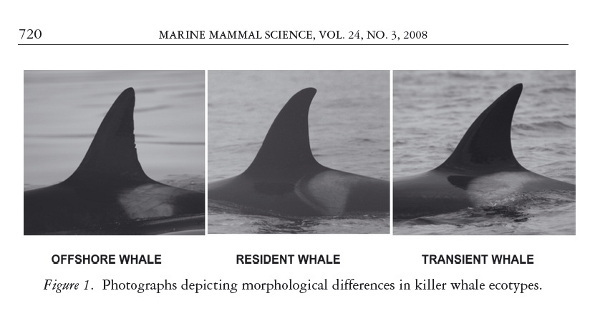 In fact, West Coast Bigg’s killer whales, also called Transients, have been genetically separate and unique from all other types of killer whales for at least 750,000 years. 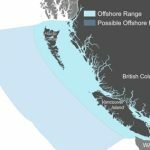 Source: VanAqua Marine Mammal Research Program – click to enlarge maps. » Check out more facts about orcas!